Navigator – Gaming – Apps Galore – And Of Course—I even Make Phone Calls! My smartphone is within arm’s reach every waking hour, and even listens to me snore from its perch on my nightstand. With the proliferation of cell phone towers and Wi-Fi hotspots we can stay connected 24/7 everywhere we go! After all, I can’t live without my smartphone! Is It Safe To Live With My Smartphone? Environmental Health Trust: A growing body of evidence shows that wireless radiation (like that produced by cell phones) can be dangerous in a number of different ways. City of Berkeley California: City Manager and Community Health Commission initiates action for warning stickers on cell phone boxes. Greenbelt Maryland City Council votes to alert citizens about the fine print warnings and possible health risks of cell phones and wireless devices. Jacobs University/Germany: Higher tumor rates through exposure to electromagnetic fields: Jacobs’ scientists identify effects below exposure limits. Studies in Europe show that people who used a cell phone heavily for over ten years have a doubled risk of brain cancer, and those who begin using cell phones as teenagers have a four to five times higher chance of being diagnosed with brain cancer. The World Health Organization (WHO) has listed cell phones as “possibly carcinogenic to humans”—in the same category as lead, engine exhaust, DDT, and jet fuel. International Agency for Research on Cancer (IARC) states radio frequency electromagnetic fields are possible carcinogens. Cell phone electromagnetic field (EMF) radiationmay indeed be a cause for concern. Here’s the sad part—many people believe this is a lot of baloney, and maybe in the end it will be. After all, the experts in the field agree all wireless devices, including smartphones, are a source of Electromagnetic Field (EMF) radiation. What they can’t all agree on is what the cumulative effect will be on humans. They know what happens to animals exposed to EMFs in lab experiments—they grow brain tumors and cancer cells! Here’s the stupid part—it appears most of us are willing to buy into the wait-and-see scenario. Wait ten to twenty years to see if people actually start dyeing from tumors and cancer brought on by EMF exposure. Then we’ll cry foul and demand our governments do something to protect us, and question why we weren’t protected in the first place. 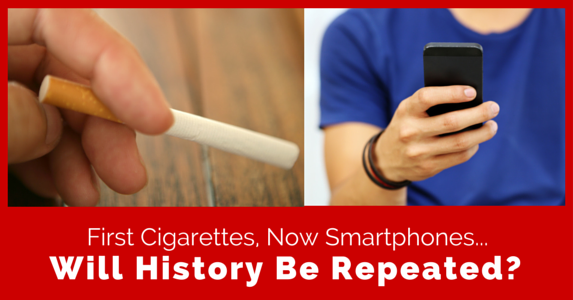 Waiting could lead to the slow poisoning of you and your loved ones with EMF radiation. 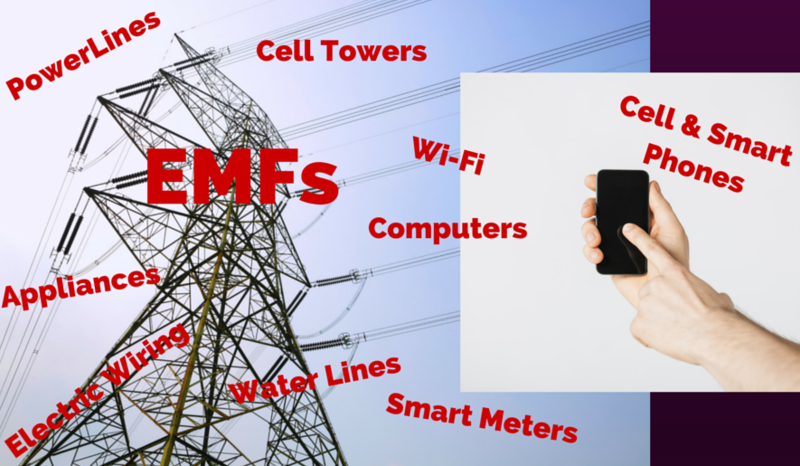 3) Avoid using a whole host of other EMF producing gadgets! How about we simply start by taking a single baby step in the direction of EMF Protection? We can continue to use our smartphone, as we love to do, with one simple and very affordable addition! I invite you to do what I have done, and discover the scientifically tested and proven products from SafeSpace. 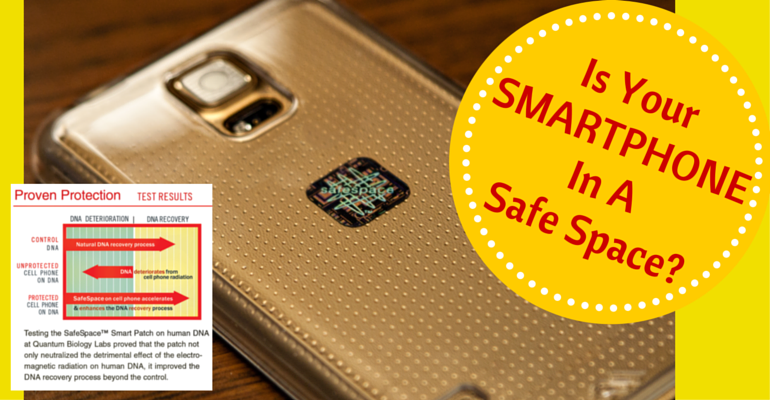 I want you to stick a SafeSpace Smart Patch on your smartphone! It’s as easy as sticking a stamp on an envelope, and costs less than fifteen bucks per smartphone. The SafeSpace Smart Patch works! It’s not like other products you may have heard of or even tried that attempt to block or absorb EMF radiation. Those types of products may have other suitable applications, but for smartphones –No—I’ve yet to find one that works. The SafeSpace technology doesn’t attempt to block or absorb, instead, it actually changes the makeup of the EMF waves. Think of it like a radio. When tuned to the exact frequency, you hear beautiful, crystal-clear music. But just a notch off, and you fill the air with nerve rattling static! Turns out, it works the same with EMF waves. In my layman’s terms, the Smart Patch tunes out the bad stuff present in cell tower and Wi-Fi signals! A frequency encoded in the Smart Patch interacts with the EMF waves. Harmful EMF energy and radiation become neutralized and converted to harmonious waves that will no longer harm our bodies. 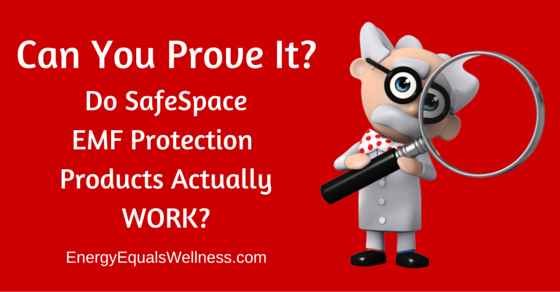 SafeSpace has the science and DNA testing to demonstrate that their products are for real. Plus, not to worry, their products will not affect your cell reception! I am concerned about EMF contamination, and I am not willing to risk my health or the health of my loved ones with a wait and see approach. But, I am also not willing let go of my smartphone. That’s why my family and I use the SafeSpace product line, and why I am proud to make it available to you. The SafeSpace Smart Patch lets me keep my smartphone, use it as I see fit, and feel confident I am not radiating my brain cells or any part of my body adjacent to whatever pocket I carry it in. Are you ready for that baby step towards EMF protection? Click this link for additional information on the SafeSpace Smart Patch! You will also find information on the rest of the SafeSpace product line. Please, take this step to protect yourself!